The world's finest musician congregate annually in New York City for this one-of-a-kind festival! 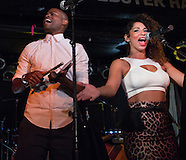 The thirteenth edition of globalFEST took over Webster Hall for another soldout show. The twelfth (!) 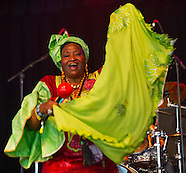 edition of globalFEST in New York featured epic performances by the amazing Jones Family Singers, Bixiga 70, Puerto Candelaria, and a closing club set by Kenya's Just a Band! globalFEST moved uptown to Lincoln Center for a day full of music - afternoon sets for families, and a full evening of 12 bands at 3 venues at night. For the second year, the crew at globalFEST infultrated Bonnaroo to curate a stage with the latest in exciting World Music. Friday June 13th was a lucky day for the fans who made it over to That Tent for Ukrainian punk, Tribal EDM, classic AfroBeat, and more. globalFEST landed at Webster Hall for its 11th show in NYC, introducing a dozen world music stars to the sold-out audience. 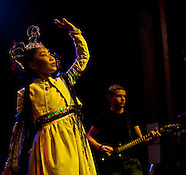 globalFEST celebrated its 10th Anniversary with yet another epic, sold-out show at Webster Hall! What a combo: the legendary Joshua Light Show (Fillmore East), with two of the most exciting bands in World Music (Forro in the Dark and the Debo Band). At the Skirball Center/NYU, presented by globalFEST. globalFEST is New York City's premier world music festival, bringing the best in international (and national!) talent to the city for an intense marathon January each year. Starting in 2012, globalFEST has hit the road, taking these artists around the world, including a trip to the Bonnaroo Festival in Tennesee, where festival attendees kicked up their heals to some of the funkiest music around! 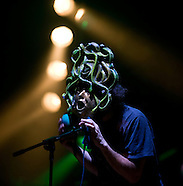 New York's annual celebration of music from around the world!